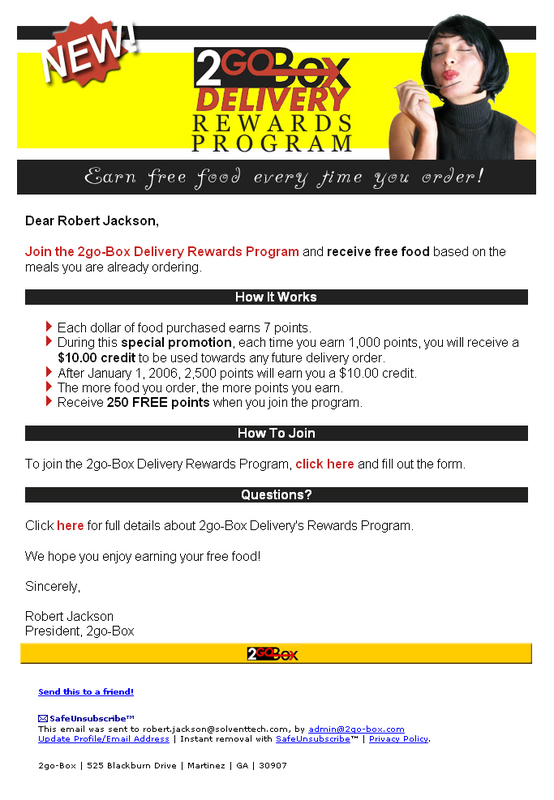 I designed this campaign to promote 2go-Box Delivery’s rewards program in late 2005. The photo came from iStockPhoto.com. The banner was used on the web and in print, and the email, designed in Constant Contact, was sent to 2go-Box subscribers.